Unstable posterior pelvic ring fractures and dislocations are uncommon but potentially life-threatening injuries in children. Early definitive management reduces risk of immediate complications as well as chronic pain and gait dysfunction. Conventional operative therapy carries substantial risk of extensive blood loss and iatrogenic neurological and vascular injury. Minimally invasive image-guided intervention may further reduce immediate risk and improve long-term outcome. To describe CT-guided closed reduction and internal fixation (CRIF) and review outcomes of unstable fracture-dislocation of the sacroiliac (SI) joint in children. 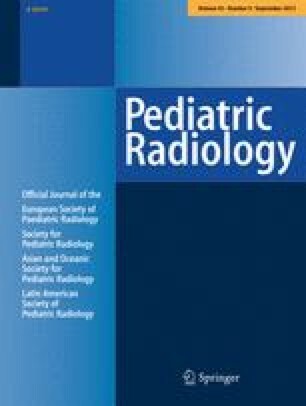 Between 2000 and 2003, three children (two girls, one boy) age 8–14 years were referred to interventional radiology for treatment of unstable SI joint fracture-dislocation not adequately treated with anterior external fixation alone. 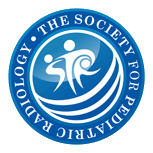 The three affected SI joints (two left, one right) were treated in a combined approach by pediatric interventional radiologists and orthopedic surgeons, using a percutaneous approach under CT guidance. Over a threaded guiding pin, 7.3 mm cannulated screws were used to achieve stable reduction of the affected SI joints. One screw was removed after slight (2 mm) migration. No neurovascular or other complications occurred. All patients had satisfactory healing with near-anatomic reduction, although recovery of the youngest was delayed by associated spinal injury. Compared to open surgical alternatives, CRIF under CT guidance reduces operating time, decreases blood loss, and allows early definitive fixation and immediate non-weight-bearing mobilization with a low rate of complication for unstable posterior pelvic ring fractures. In addition, CT-guided placement of the guide pin may allow safer screw positioning and may minimize the total number of screws needed to achieve pelvic stability.